Welcome to Dax's Deals Inc! 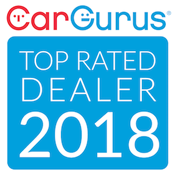 Welcome to the official website of Dax's Deals Auto, the premiere source for fine high-end (import and domestic) vehicles in Fayetteville, North Carolina. Most of our vehicles are low mileage vehicles and come with remaining factory warranties. Please feel free to peruse through our inventory and call us if you have any questions. With two locations to serve you, quality of service is equally as important to us as our products. Thanks for visiting our website. We hope your buying experience is great. Confidence you'll get qualified for financing your next quality pre-owned from Dax's Deals. Our financing process is simple and the best part is you can start from where you're sitting right now! Get approved before you arrive so when you do get to our store you can shop with confidence and drive home in style!